Do you need professional support and guidance? Allow us to help you and your family. Our facilities are private and relaxing, and we have the experience to give you the confidence you’re in the right place. If you’re in the midst of problems or a crisis, it can be a confusing time to find help. Choosing a counselor who is a good fit for you and your family is crucial for success. Our therapists help children, adolescents, and adults work through their issues using evidenced-based therapies, research, collaborative care with other professionals, and caring support. 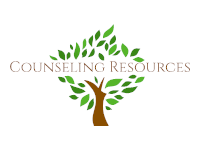 At Counseling Resources, we will provide you with the tools and support you need in a safe, comforting environment.